All seven ITER Domestic Agencies are involved in the procurement of diagnostic systems. Once a year, the teams meet at ITER Headquarters to address common issues and share ideas. 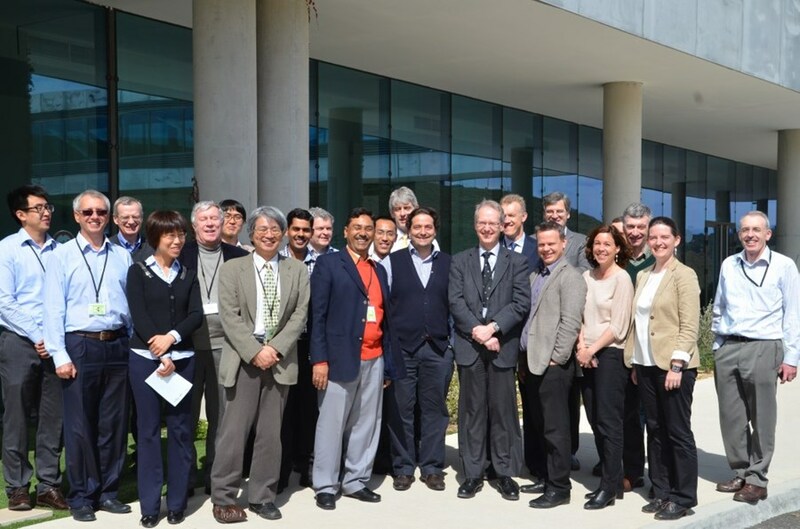 The fourth annual All Diagnostic Domestic Agency meeting took place at ITER Headquarters in mid-March, attended by diagnostic heads from the Domestic Agencies and members of the ITER Diagnostic Division. During the three-day meeting, attended by approximately 20 people, sessions were held to highlight progress made on diagnostic systems since last year, address issues related to the coordination of design development and system integration (in particular in the ports), and to encourage communication between the Domestic Agency teams and the ITER Organization. Characterized by lively debate and sometimes disagreement, participants felt that the three days had been "invaluable" and that the informal style permitted the generation of new ideas. Each session was chaired by representatives from a different Domestic Agency along with a co-chair from the ITER Diagnostics Division; this organization, launched last year, has proven very successful. Papers presented at each session were followed by Q&A sessions. The wide range of topics covered served to keep all aware and facilitated better understanding of important diagnostics issues such as the freezing of interfaces to synchronize diagnostic development schedules. A number of key actions—often addressed by joint ITER Organization-Domestic Agency work teams during the meeting—were agreed and plans were made to ensure implementation, with good firm outcomes. Paul Thomas, director of the ITER CODAC, Heating & Current Drive Directorate, opened the meeting with encouragement for all and pointed out key diagnostic issues for 2014. He also commented about the good team spirit and encouraged everyone to keep up the good work. Michael Walsh, Diagnostics Division Head, complimented all for the significant progress made in the last year. Once again, this face-to-face meeting helped engender and foster excellent team spirit and reinforce the links within all diagnostics teams.